Written and Recorded by James Charles. 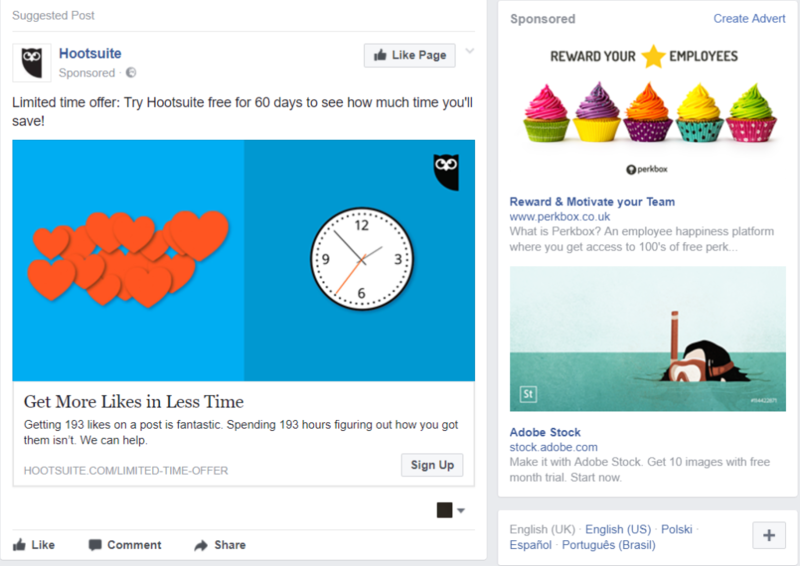 With social media continuing to play a more and more central role in how the world communicates, learns, shares and socialises one of the tools that has come up time and time again in conferences I have attended over the past 12 months is display advertising via Facebook Ads. 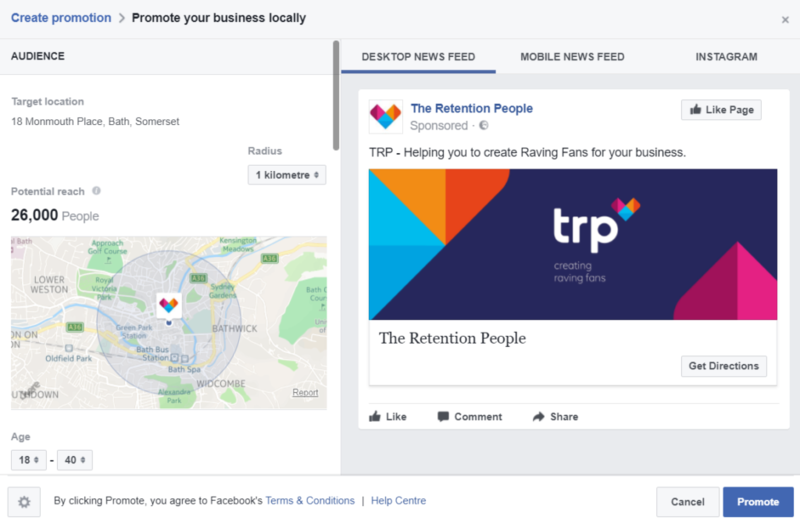 In this post, I will explain what Facebook Ads are and how to get started with simple setup so you can begin utilising them for your club. Ever been scrolling through your news feed and found an advert for some washing detergent from a company you aren’t following? Maybe a 2 for 1 offer at the local cinema/movie theatre? Chances are they have paid to put themselves in front of you as a member of their target audience. In the example below Hootsuite has decided that I am part of their target audience and they want to display their ad to me. This advert is essentially a ‘Boosted Post’ – like a normal Facebook post but with a paid boost to get it in front of a specific audience, defined by the advertiser, who do not necessarily follow that brand and therefore wouldn’t normally see their content. In this case, I do not follow Hootsuite. 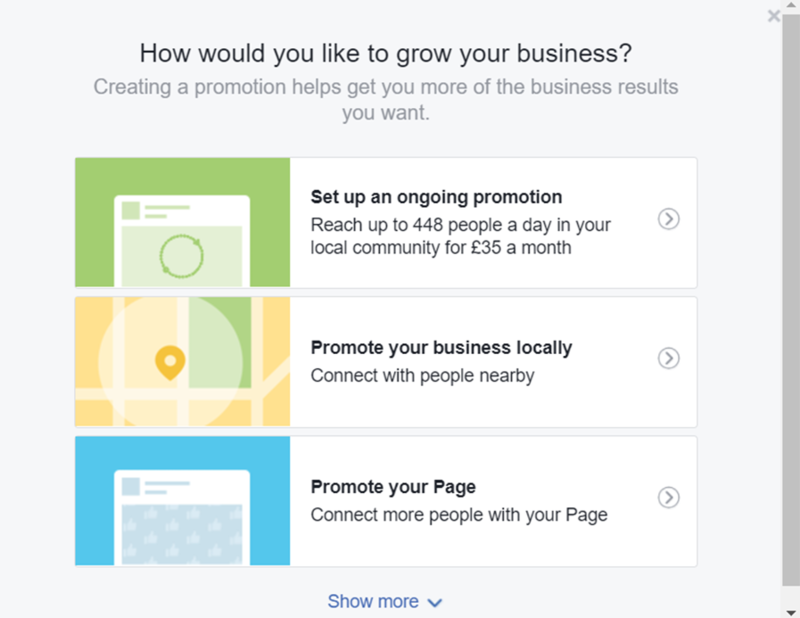 So, now we know what Facebook Ads are let’s look at how to set them up. 7. Set the duration of your campaign and the currency you would like to use to pay for it. Then, press the big blue button to launch!